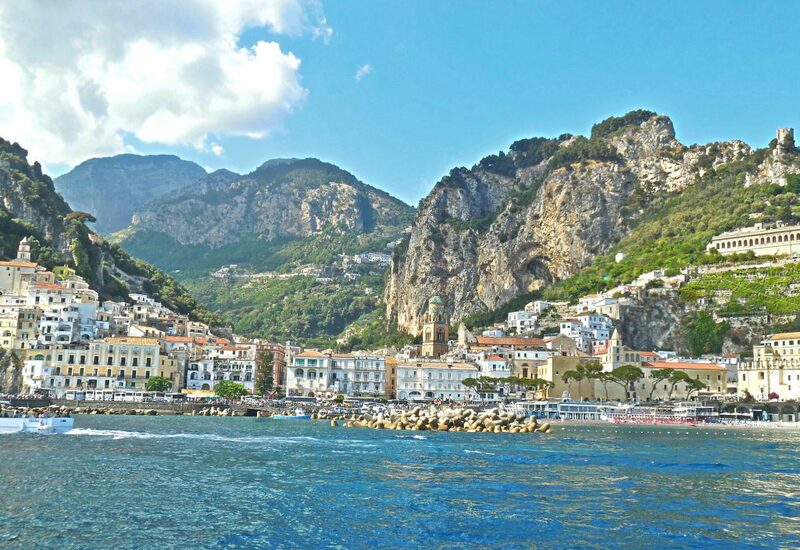 When my friends Wayne and Peter from Toronto came to visit and proposed that I join them on a trip to the Amalfi Coast, I was delighted to do so as I had not seen much of that part of the coast. 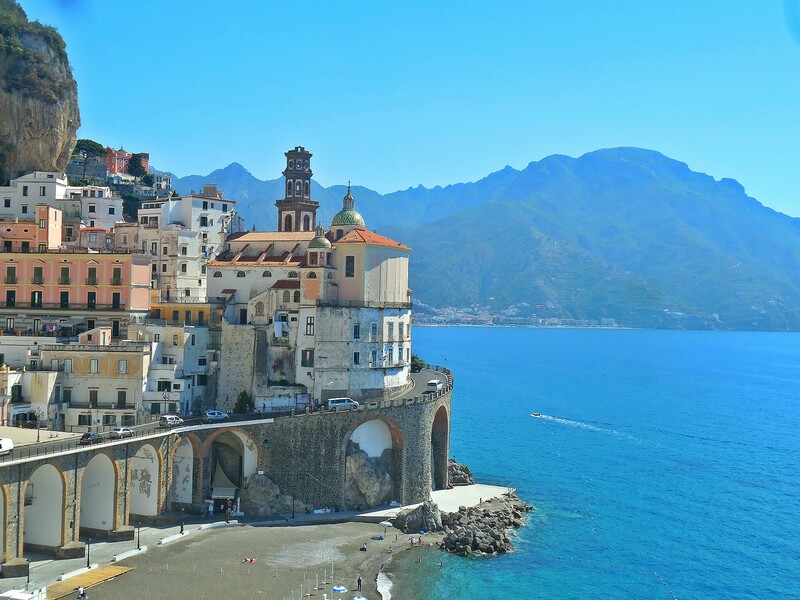 The Amalfi coast is part of the Sorrentine peninsula, that little finger of land that juts out into the Mediterranean sea below Naples. We took the train from Rome to Naples and spent two days in this chaotic, crumbling but still beautiful city. 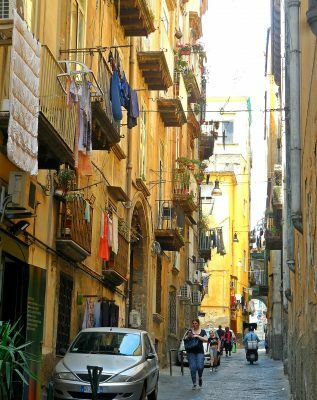 We stayed in an apartment in Spaccanapoli, right in the middle of the historic centre and within walking distance of the major sights. An interesting area in which to wander about with its narrow streets, washing hanging from the windows and glimpses into peoples living spaces. 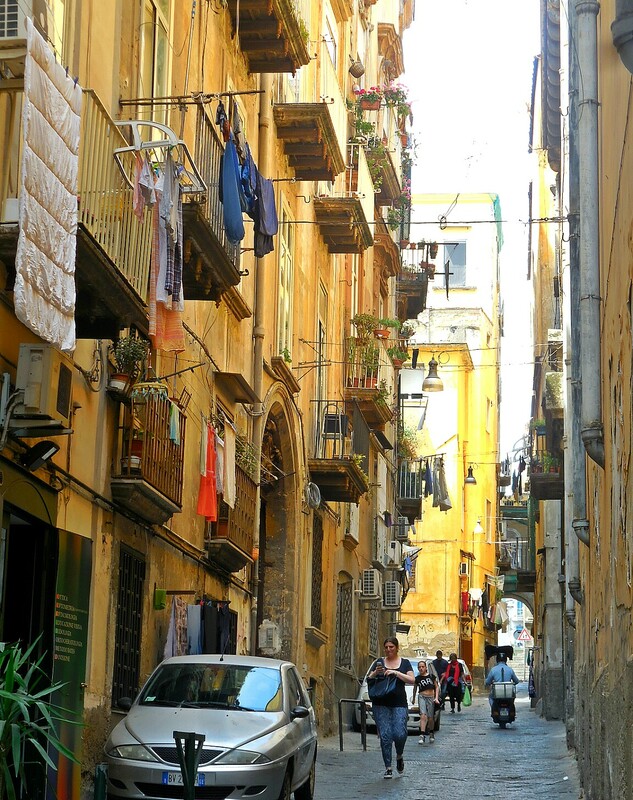 I had been to Naples before and enjoyed re-visiting the main sights but this time, I discovered that there is a vast underground world of caverns, catacombs and aqueducts. The rock under Naples is not really rock but a softer volcanic material called tufo. Earthquakes created large fissures allowing water in and thus creating underground streams which once supplied Naples with its water supply. I took an underground tour lasting an hour and a half and only saw a tiny fraction of the ancient water system. Currently, there are moves to use the space for plant cultivation using artificial lighting and I saw basil being grown for use in some of the restaurants above. 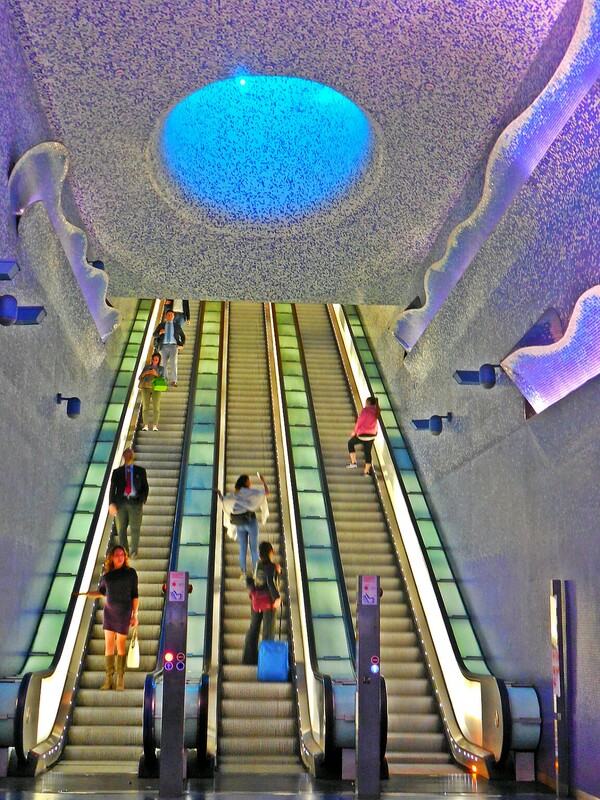 Despite the fact that we could walk everywhere, we took the Metro especially to see the Toledo subway station. Reputed to be the most beautiful subway station in Europe, I wanted to check it out and I was not disappointed. 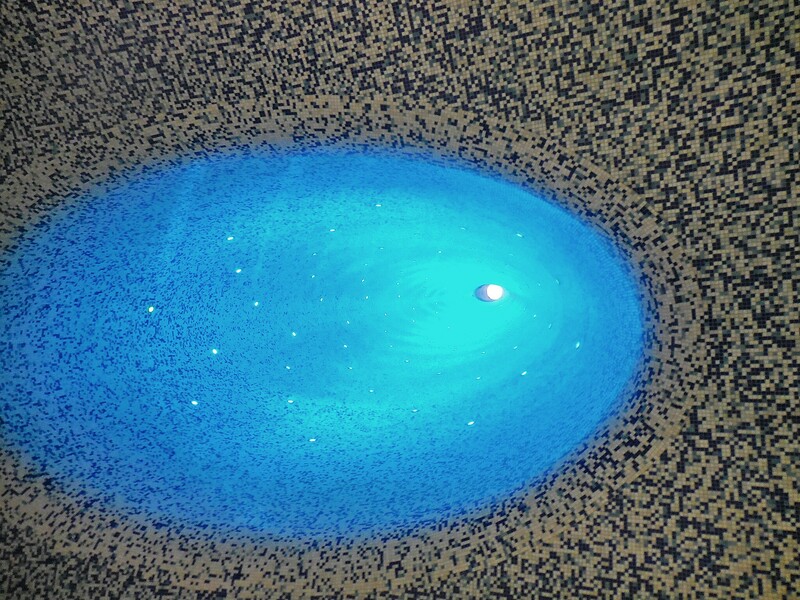 The walls alongside the escalators going up to ground level are lined with deep blue glass mosaic giving the impression of being underwater. 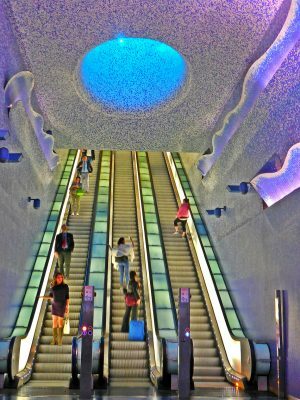 As the escalator reaches the middle, a sort of narrow ‘tower’ lit in blue opens up above with daylight coming in through a small opening at the top giving the effect of suddenly seeing the sun or moon. Hard to describe the effect but it was so amazing and beautiful that we spent a lot of time just going up and down the escalator looking up into this space. Strange to be writing about a subway station when we saw magnificent works of art including exquisite mosaics and frescoes from Pompeii which are now in the Archaelogical Museum of Naples but this could be classified as a modern work of art. 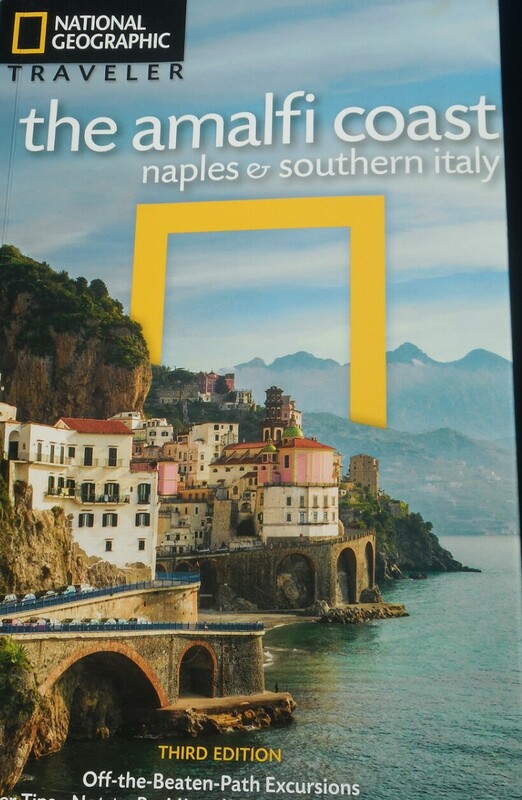 From Naples, we took the train to Salerno and then a ferry to Amalfi. 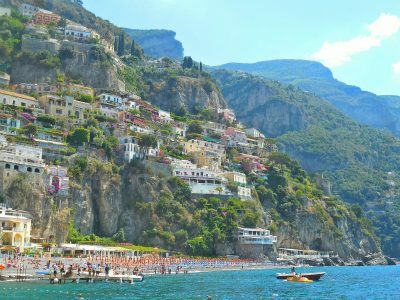 A beautiful stretch of coast with towering cliffs, villages clinging to the hillsides, lemon groves tucked into little fissures in the mountains and churches perched on top of sheer rock. 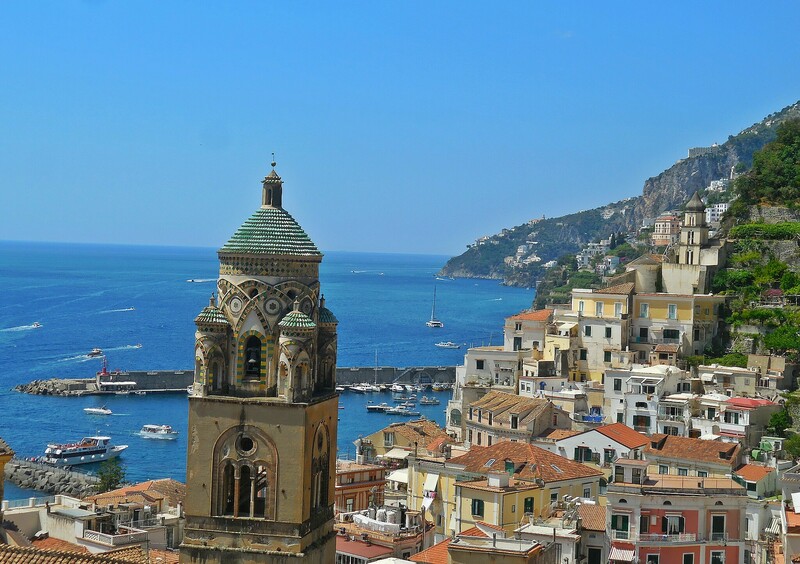 We landed in Amalfi, which is quaint but busy and full of tourists, many of them daytrippers. 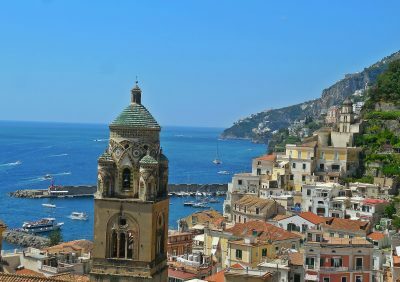 We were lucky in that we had rented an apartment in Atrani, a small peaceful village about 15 minutes walk from Amalfi. We lucked out with this as the apartment had a huge terrace filled with plants including masses of jasmine in flower and a spectacular view. Wayne works for a publishing company and had an array of guidebooks. Imagine our delight when we realized that the view from our terrace was almost exactly the same as that featured on the cover of the National Geographic guide book on the Amalfi Coast. We did a lot of walking up and down the hills since there is hardly any flat ground. Wayne and Peter, armed with their Fit Bits, gave me a running commentary about how many steps we were doing and every day, the number exceeded 20,000. A good thing as we dined very well on delicious seafood dishes every including eating at a Michelin starred restaurant at the Palazzo Arvino in chic Ravello up in the mountains above Amalfi. 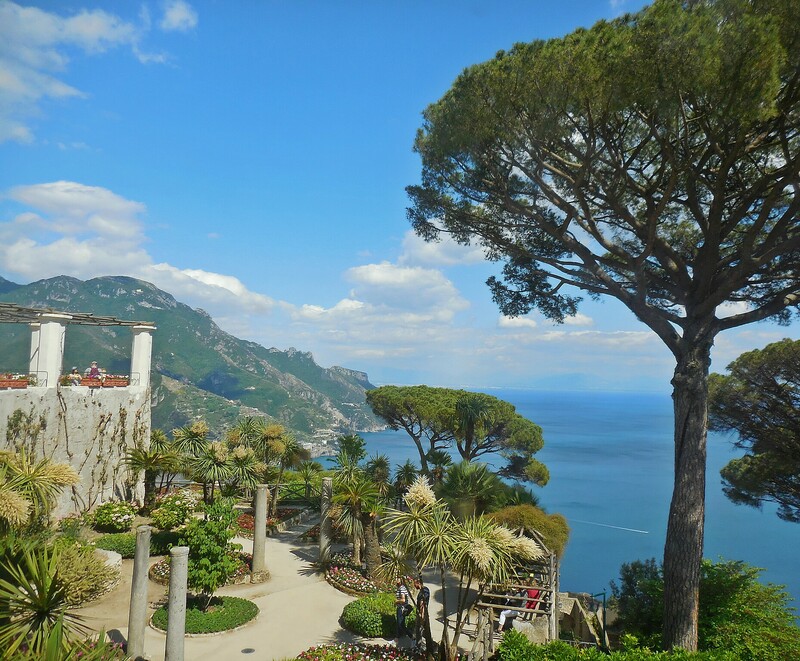 Famous for its gardens, Ravello is charming with stunning views of the landscape down to the sea. The road up to it, in fact all the roads, are very narrow and full of hairpin bends. There is a whole system of horn blasts from bus drivers to warn motorists coming in the opposite direction and there were times when we were just inches away from vehicles on the opposite side as there is no room to pull over and reversing is not an option. 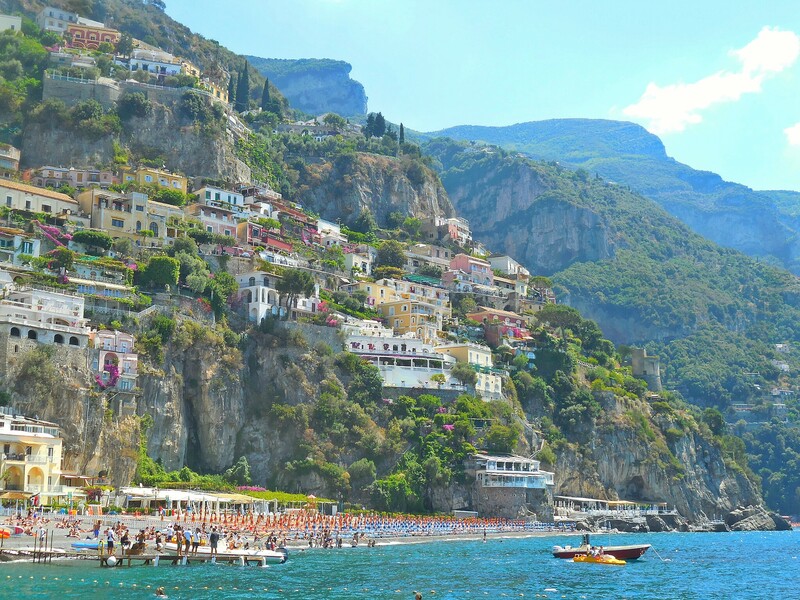 I was very glad that we hadn’t rented a car but instead took boats and buses to neighbouring towns like Positano. A much more relaxed way to travel and coming into the towns by boat is guaranteed to be a picture-perfect sight. There are several long walking trails along the cliffs which we did not have time to do but I’m saving that for my next visit. We certainly ate very well. Florinda commented that my Instagram photos only showed food and no scenery so I chose scenery for the post!